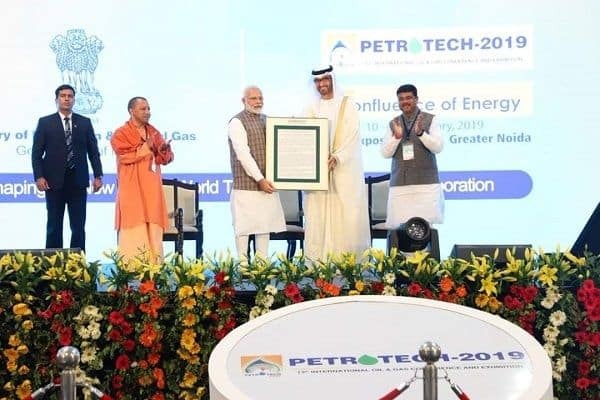 Addressing the Petrotech Expo Mart in Uttar Pradesh's Greater Noida, Prime Minister Narendra Modi said that India could be the second-largest economy of the world by 2030. 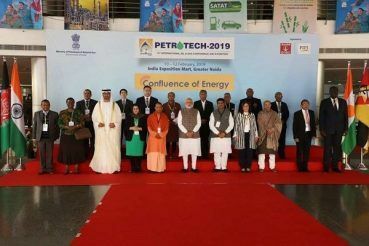 New Delhi: Prime Minister Narendra Modi on Monday emphasised on how his government seeks to deliver clean and efficient supply to citizens and spoke about the global changes in the area of energy consumption at the Petrotech Expo Mart held in Greater Noida. “Winds of change are evident in the global energy arena. There is a shift in energy consumption from West to East… Energy supply, energy sources and energy consumption patterns are changing. Perhaps, this could be a historic transition,” PM Modi said while addressing the Petrotech Expo Mart. The Prime Minister exuded confidence that India would continue to be the fastest-growing large economy, and could be the second-largest economy in the world by 2030. “Leading agencies such as IMF and World Bank project the same trend to continue in the coming years. In an uncertain global economic environment, India has shown tremendous resilience as an anchor of the world economy,” PM Modi said in his address. The Prime Minister further said that signs of convergence between cheaper renewable energy, technologies and digital applications were becoming evident. “Energy supply, energy sources and energy consumption patterns are changing. Perhaps, this could be a historic transition,” he added. Talking about energy justice in India which has been given top priority by the government, Modi stated that many policies have been developed and implemented. “We need to move to responsible pricing, which balances the interests of both the producer and consumer. We also need to move towards transparent and flexible markets for both oil and gas,” he noted.